Promise Kids Learning Academy is more than just a child care center. Our center will give your child the opportunity to receive an early start to their education and help them achieve their greatest capabilities. From top to bottom, our safe and secure center is purpose-built for children to learn, play and grow! I am delighted that you are considering Promise Kids Learning Academy. I understand that this is an important decision for you and your family. Whether it’s tomorrow, or twenty years from now, you can feel confident knowing you’ve made the right choice. You will be impressed with your child’s creativity and multilingual skills. We have a nutritionist on staff to ensure your child has healthy cooked meals. Your child will excel in reading, writing, and math to prepare them for elementary school. Extra-curricular activities and two age appropriate playgrounds ensure that your child gets the physical fitness that he/she needs. Our nutritionist has a love for educating young children about making healthier food choices and trying new things. (0 months – 17 months) Teachers focus on language development by talking with children, communication, sign language, and reading to them. (3 1/2 years – 5 years) Our teachers guide children in developing early skills in literacy, math, science, and technology. We take safety very seriously and we will not make decisions that jeopardize the safety of our children. (18 months – 36 months) In small groups, teachers focus on helping toddlers interact and explore the sights, sounds around them. (5 years – 12 years) The overall goal of the after-school program is to help children develop valuable skills. 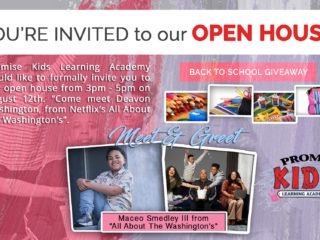 Promise Kids Learning Academy would like to formally invite you to our open house from 3pm – 5pm on August 12, 2018. All attendees will be able to meet Deavon Washington from Netflix’s own show “All About The Washington’s”. When students arrive on campus they begin their afternoon with snack and supervised homework time. If you’re in a bind and in need of some last-minute child care, look no further Promise Kids Learning Academy is here. Welcome to Promise Kids Learning Academy we are now enrolling children. Fresh meals are served five times per day Monday through Friday. Breakfast, lunch and supper, and AM and PM snacks are prepared in our kitchen by our staffed nutritionist and trained caregivers. Promise Kids Learning Academy has partnered with and is a vendor for Food Program Assistance through the Child and Adult Care Food Program, CACFP. FP Assistance provides our staff with the necessary training and funds to ensure compliance with their mission to “reduce hunger and obesity among children”. (0 months through 17 months) Infants are involved with stimulating, hands-on play. Teachers focus on language development by talking with children, communication in sign language, reading to them, and making musical activities a part of the daily routine. Social skills are developed as children get older and can interact in small groups. Indoor and outdoor activities are also part of each day’s activities. (37 months through 5 years) The daily adventures continue into preschool, and with them come the steppingstones for a lifetime of learning with loving and skilled teachers. Our teachers guide children in developing early skills in literacy, math, science, social studies, the arts and technology. Indoor and outdoor activities and play areas further enhance the learning and growth. (18 months through 36 months) In small groups, teachers focus on helping toddlers interact and explore the sights, sounds, and textures around them. 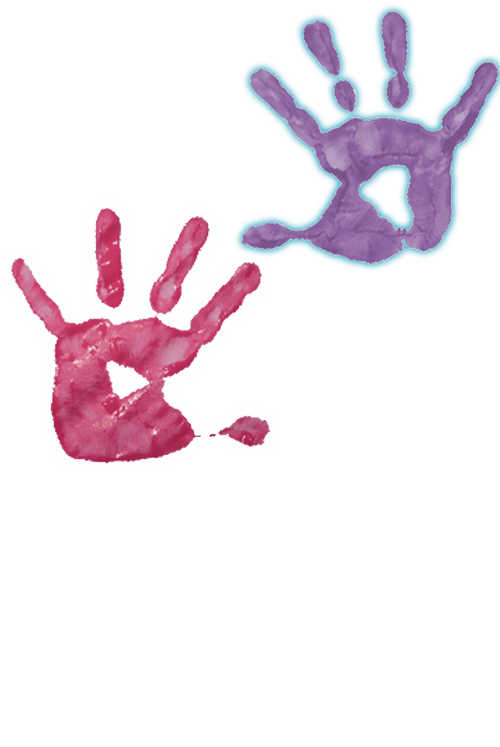 Activities include dramatic play, Spanish, sign language, exploration of their environment, blocks, puzzles, painting, clay, music and movement. Children are encouraged to learn at their own pace and teachers understand the importance of helping toddlers feel secure. A responsive and nurturing environment is key to successful learning. Monthly themes, weekly topics and daily activities keep the curriculum focused and fun. (5 years through 12 years) Promise Kids Learning Academy offers a safe, convenient program for after-school hours, school holidays, and other school closings. The overall goal of the after-school program is to help children develop valuable skills while encouraging the smart choices and healthy habits that last a lifetime. We provide a nurturing, stimulating, and fun environment where children further their learning experiences and explorations through homework support and daily activities.